The Nuna Demi Grow Carrycot will ensure a smooth and easy transition for your baby from being on wheels to being back inside. Who is the Nuna Demi Grow Carrycot suitable for? The Nuna Demi Grow Carrycot is perfect for those want to easily move from one place to the pushchair with the easiest of clicks. The carrycot is particularly well made and ideal to ensure your baby is not disturbed whilst at rest. Why choose the Nuna Demi Grow Carrycot? If you have already invested in the Nuna Demi Grow Pushchair, it makes perfect sense to add the flexibility of the carrycot. As with all Nuna products, the quality of manufacture is matched by the quality of design and style. With a luxe leather-look carry handle, integrated ventilated mesh window and a secret compartment, the Nuna Demi Grow Carrycot feels great and functions brilliantly. In addition, it is easy to maintain with a washable (machine) soft mattress cover, zip-away liner and when you are finished for the day, a flat fold will ensure it does not take up excess precious space. Finally, extra protection is provided for your baby with an oversized UPF 50+ Canopy and non-slip feed for additional tidiness and security. 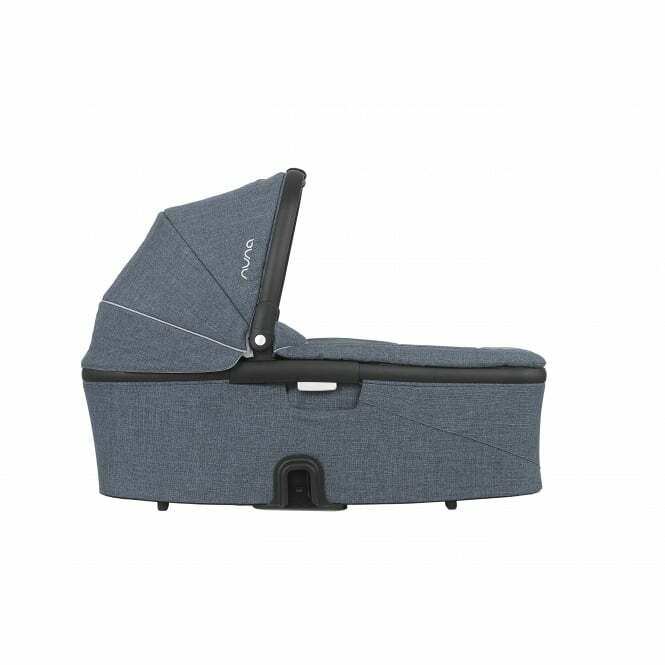 Does the Nuna Demi Grow Carrycot come with a warranty? The Nuna Demi Grow Carrycot includes 1 year manufactures warranty. What other Products relate to the Nuna Demi Grow Carrycot?